There is one giant problem that is frustrating many bloggers. Let me guess, you’re also frustrated by the same problem. It is frustrating you and you’re asking yourself this question. I know and I feel for you. . .
How to get more traffic on your blog that isn’t from internet bots (web robots) can be the most nerve-racking thing. How many blogs fail because they lack adequate real human visitor traffic? I have the good news for you today. It won’t fail because there is a way how to get over 1000 daily 100% real human visitor traffic to your blog. I’m going to show you 7 ways to use LinkedIn to get more traffic to your blog. 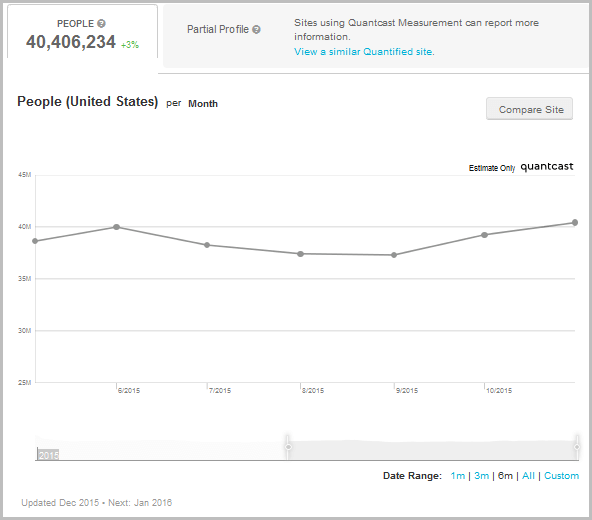 By applying these 7 specific ways, you can get over 1000 daily 100% real human visitor traffic to your blog. Probably you’re wondering, is this really possible? Let me clear your thoughts by explaining why it’s possible for you to drive that amount of traffic from LinkedIn to your blog. Let’s get the statistics right. 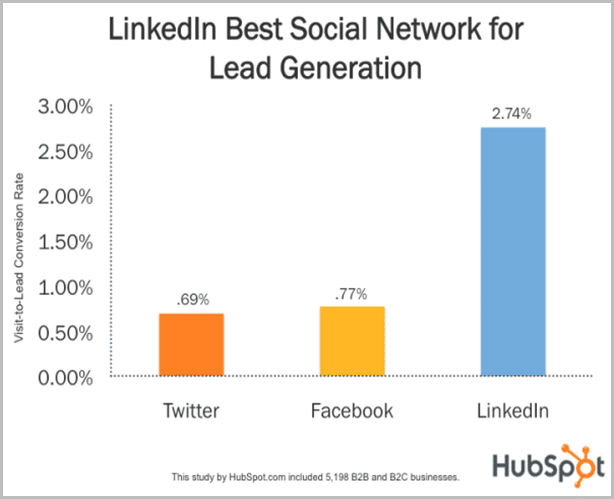 The statistics will show us why LinkedIn is the best social networking site for generating traffic. From the above graph, it’s clear that the conversion rate of traffic that comes from LinkedIn is more compared to traffic that comes from Twitter and Facebook. This social network service provider is business-oriented and you can positively benefit from it in many ways. Over 400 million people around the world are using LinkedIn social networking site. 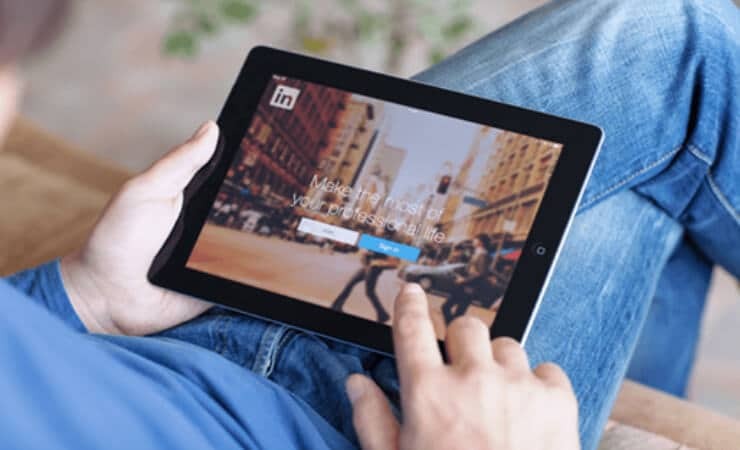 A report that was released by Quantcast shows that LinkedIn receives approximately 40.4 million monthly unique U.S. visitors. With such figures, it is possible for you to get over 1000 daily 100% real human visitor traffic to your blog by using LinkedIn as a source of traffic. An article published on LinkedIn official blog reports that 40% of LinkedIn users are using mobile to search for new jobs. Many of them have landed their dream jobs and have realized their career aspirations through LinkedIn. LinkedIn as a social network service earns most of its revenue by selling access to information of its members to sales professionals and recruiters. It doesn’t matter if you’re running a consulting business, you’re an entrepreneur, you’re running a small start-up business or you’re an employee who is blogging, you should use LinkedIn to network. LinkedIn has made it easy for you to network with like-minded professionals and also to acquire new clients. Take advantage of it to get noticed as a professional or an expert who is blogging. LinkedIn being the best social networking site to generate 100% real human visitor traffic that has high conversion rate, the following are 7 ways to get more traffic from LinkedIn to your blog. Grow your blog readership by starting to use these seven simple to apply ways that work effectively. Now that LinkedIn is allowing its users to publish articles, you should take advantage of it to share your insights so that you get noticed. Tell people about your expertise. Tell them interesting stories based on the niche you’re blogging. Your LinkedIn connections will recommend you to their connections. They’ll also share your content you have published if they find it to be valuable. LinkedIn is the best social networking site for you to deliver your blog’s content to the right people you’re targeting. When you publish content on LinkedIn Pulse, ensure that you use keywords and images. 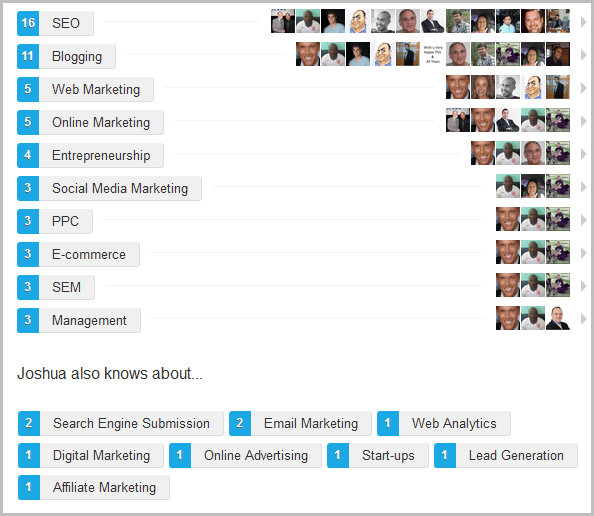 The keywords will make it easy for those people searching information on LinkedIn to find your articles. The articles you publish on LinkedIn should link back to your blog. However, you should not always link every article you publish back to your blog. There are LinkedIn members who will read your articles and click your profile. From your LinkedIn profile, some will click a link that will direct them to your blog. When you publish articles on LinkedIn Pulse, you’re also increasing your blog’s visibility in search engine results pages (optimizing your blog in the search engines). Using images in your articles will grab the attention of LinkedIn users. Some of the images especially infographics will help your readers to understand information better compared to plain text articles. The content you share on LinkedIn should be persuasive, useful and interesting to read. Content that is valuable (useful) and interesting to read get shared most. Make sure the articles you share are providing something of value to people you’re targeting on LinkedIn so that you build trust and grow your audience. Another way on how to get more traffic on your blog using LinkedIn is by engaging your followers. By engaging your followers, you’re giving them a good reason to visit your blog. You don’t want your followers to have a perception that you’re using an automated service to post content on your blog’s LinkedIn profile. You want them to feel that you’re a real human who is there for them and that you care about them. It’s for this reason that you should always engage with your followers. The more you engage your followers, the more they’re likely to trust you. You’re also likely to build more connections when you engage your followers. Building trust is very important when it comes to doing business online. Engage your LinkedIn followers by asking them mind-boggling questions, commenting on their articles or updates on their profile. Note that there are many ways you can use to engage your followers and other LinkedIn members. Another way on how to get more traffic on your blog is by joining groups that are discussing the topic you’re blogging about. Participate in group discussions. 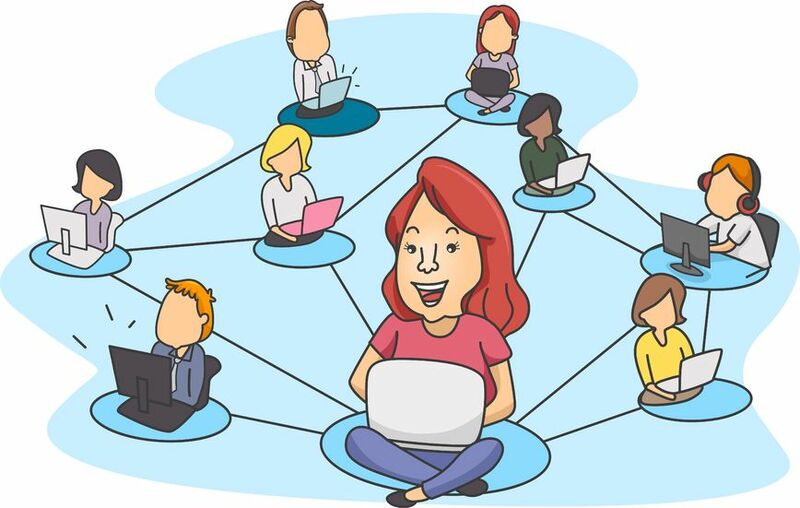 You can share your blog posts with group members in case you find that they will help them to clarify an important point or solve a particular problem. By joining relevant groups on LinkedIn, you’ll network. It’s one way to build your connections and gain exposure. I have come to notice that the more active I’m as a LinkedIn member, the more endorsements I get from LinkedIn members for my skills. I.) Publishing articles on LinkedIn Pulse. II.) Sharing an update on your profile. III.) Following people in your niche. IV.) Sharing other people’s articles. V.) Endorsing your followers and other LinkedIn members for their skills. When you get endorsements from LinkedIn users, they make you look better to potential clients or employers. Some of the potential clients will even visit your blog. They’ll trust you as a qualified skilled person who will help them to get a particular job or project done. Here are five mistakes you should avoid that might ruin your reputation while using LinkedIn social networking site. It’s good to create a LinkedIn profile that will impress potential clients and employers. But you don’t have to lie about your skills, qualification and education in order to attract and impress potential clients and employers. What if they hire you and they find out that you don’t have the skills required to perform the job? They realize that you lied to them on your LinkedIn profile! Don’t lie on your LinkedIn profile regarding your skills. Although you can take a step to ask your followers to recommend you, it doesn’t mean that you should plead for endorsements. You should not contact them by sending a message begging them to endorse you for your skills. You’ll scare your LinkedIn followers if you’re begging for recommendations. Let your followers and other LinkedIn members endorse you in a natural way. When you’re creating your LinkedIn in profile, don’t upload to your profile a photo that will create a bad impression. Avoid using a controversial image. Upload to your LinkedIn profile a photo that will create an image of you as a professional. There is nothing wrong following people in your niche. On the other hand, it’s very wrong to follow so many people at once without considering their interests. LinkedIn is not all about you having as many followers as possible. It’s about making the most of your professional life. As such, use it to network with other professionals in your field. Make yourself to be known on LinkedIn by potential clients and employers. Posting negative content on LinkedIn will land you into problems. Even if you got fired by your employer or your client turned to be unpleasant person to work with, you should never post negative comments about them. Don’t publish articles on LinkedIn platform Pulse that are criticizing people. Use LinkedIn to post content that is useful to people. Since you’re creating brand awareness of your business (in this case your blog is your online business), you should upload the logo of your blog to be your LinkedIn profile cover photo. This way, you increase brand awareness. Your profile cover photo being the logo of your blog, it will create an interest in people to visit your blog to find out more about your blog. Write a brief compelling description about your blog. The description about your blog should create an interest in people reading your LinkedIn profile so that they visit your blog. The description you create should link back to your blog. Your LinkedIn profile should be complete. Even though the LinkedIn profile you’re creating is for your blog, remember that it is you who is blogging as a professional. Therefore, you should provide (fill) all the information that is required to complete a LinkedIn profile and this includes information about your education, skills, your experience, qualifications etc. Display LinkedIn share button on your blog. You know very well that a blog is a marketing tool. It’s very effective when it comes to interactive marketing. By including LinkedIn share button on your blog posts, it facilitates content marketing. Some of your readers will share the content of your blog on LinkedIn. This way, they are participating in the process of building your brand’s image. So, why don’t you make it easy for people visiting your blog to share your content with their followers on LinkedIn by including a “LinkedIn Share Button” on your blog? You shouldn’t rely solely on search engine marketing to drive traffic to your blog. You should make it possible for your content to be shared by your readers on the social media. When you create social media presence for your blog, you’ll be driving the right traffic to your blog. Add LinkedIn share button on your blog posts so that you make your content sharable on LinkedIn by your readers. This will greatly boost your blog’s traffic and increase brand awareness for your blog. I don’t have to emphasize farther how to get more traffic on your blog using LinkedIn. All you should know is that LinkedIn is the world’s largest professional network you should use to network as a blogger who is blogging about your passion or the field of your profession you have specialized in. Tony Robbins TED Talk | Why We Do What We Do, What Motivates You In Life Until You Succeed?